С новым годом ! ! Happy New Year ! ! To finish 2013, here’s some submarine news for anyone who might be a bit behind. 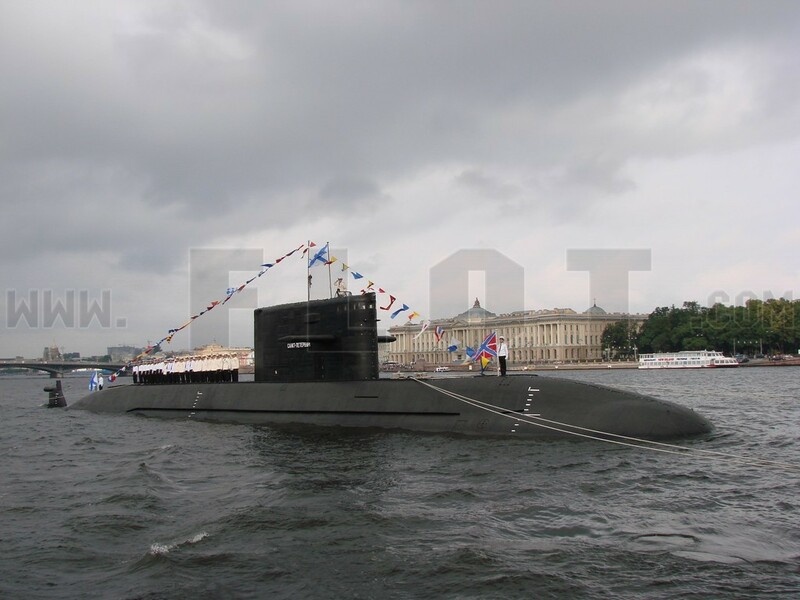 Yesterday Mil.ru and Interfaks reported Oscar II-class SSGN Smolensk has returned to Zaozersk, its Northern Fleet base, following two years of overhaul and modernization at Zvezdochka shipyard in Severodvinsk. 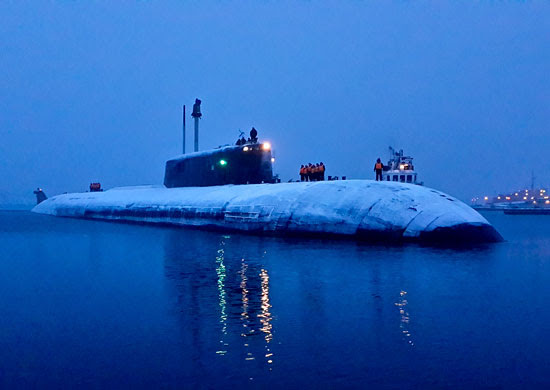 Its commander said the 24-year-old submarine successfully completed “tasks of the first phase of factory underway trials” as well as the transfer back to home base. He said, in 2014, Smolensk will operate in “distant ocean areas” and surface at the North Pole to plant a Russian national flag and Navy ensign. During the overhaul, the “technical readiness” of all systems, including hull and power plant, was reestablished. Radioelectronic and navigation systems were modernized, according to Mil.ru. An overhaul of Voronezh was completed in 2011, and Orel just arrived for refit. 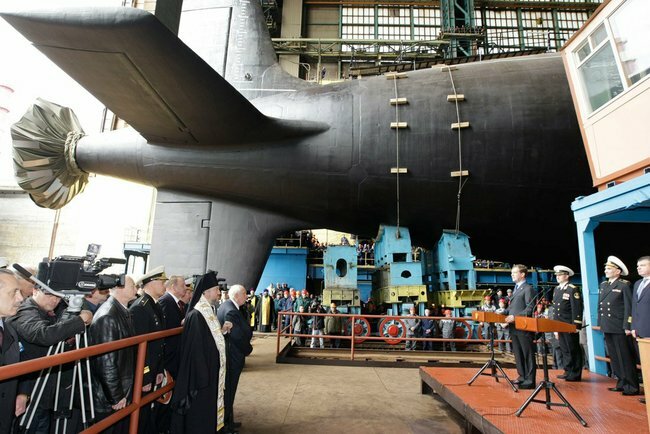 The Oscar II overhauls indicate Russia is investing to keep its third generation nuclear sub numbers up, as Dmitriy Rogozin said it would in early 2012. Shifting gears to proyekt 885 SSN Severodvinsk, RIA Novosti reported an industry source claimed this first unit of new attack submarines would be accepted at Sevmash on 30 December. Didn’t happen. But could soon. Unit two, proyekt 955 Borey-class SSBN Aleksandr Nevskiy, however, officially joined the fleet on 23 December, according to RIA Novosti. Mil.ru covered the acceptance ceremony. Navy CINC Admiral Viktor Chirkov reconfirmed that Nevskiy will eventually report to the Pacific Fleet’s 25th DiPL at Vilyuchinsk. But Russianforces.org yesterday covered the arrival of Nevskiy and unit one Yuriy Dolgorukiy at the Northern Fleet’s Gadzhiyevo base. There, of course, they await the resolution of issues with their primary armament, the Bulava SLBM. Nevskiy will test fire a Bulava again in 2014. Unit three, Vladimir Monomakh, is supposed to enter the force in 2014. Apparently, there was something to the General Staff source who told RIA Novosti that Nevskiy (and Monomakh) would be accepted without their complement of Bulava missiles. On Thursday, Argumenty nedeli published a short article citing a source claiming Russia’s specialty steel makers aren’t very interested in supplying metal for new submarines planned for the Navy. Argumenty’s record is interesting. Sometimes they go out on a limb and don’t quite get a story right; other times they nail it or catch the gist of what seems to be happening. Can’t say which it is this time. But the paper has a tradition of looking closely at different parts of defense industry. The story maintains Sevmash is trying to scrape together the specialty steel needed for new boats, and is short of what it needs for Borey– and Yasen-class hulls. The paper’s OPK source notes, of course, that those boats already launched were assembled from existing sections of older submarine classes. Argumenty ends its short piece by reminding readers about the conflict between the Defense Ministry and United Shipbuilding Corporation (OSK) on the one hand and Sevmash on the other over pricing and contracts which lasted most of 2011. That year-long battle ended in mid-November when Prime Minister Putin supervised the signing of seven submarine contracts worth more than 280 billion rubles in Severodvinsk. There aren’t precise details on what the deal covered except nuclear-powered submarines — the modernized proyekt 955 Borey and proyekt 885 Yasen (or 955A and Yasen-M). If Argumenty’s story is accurate, it suggests future disputes over submarine production and profit margins for Sevmash’s sub-contractors and suppliers. Perhaps Putin’s deal was only a temporary end to the government-industry conflict. Interfaks and ITAR-TASS report Borey-class SSBN Yuriy Dolgorukiy successfully launched its third Bulava SLBM today, that’s the 17th overall test and the 10th success (including five in a row). The earlier-reported launch window was missed due to bad weather, according to Flotprom.ru. ITAR-TASS quoted the VPK this week regarding Borey unit 2 Aleksandr Nevskiy. The VPK says Nevskiy won’t fire a Bulava before the summer of 2012. 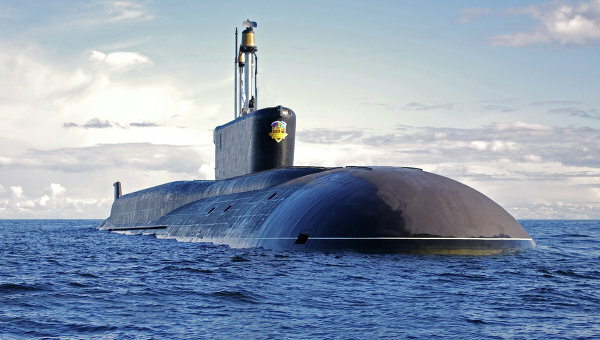 After finishing its factory underway testing (ZKhI or ЗХИ) and several successful single Bulava launches, Nevskiy might be accepted into service by the end of 2012, according to the VPK. Nevskiy’s now on a two-week phase of ZKhI and will be back in Severodvinsk by early December to rectify any problems identified. ITAR-TASS says underway testing will continue as the weather permits. Rossiyskaya gazeta Wednesday also noted that Nevskiy’s schedule has moved to the right, and it can’t be accepted until 2012. RG covered how the first two Boreys used unused proyekt 971 Akula components, but some are talking about Borey unit three Vladimir Monomakh as a “modernized variant” and its builders will no longer be forced to stuff their “new contents” into a “different” hull. Others have cited the lack of leftover parts as a problem that will increase the cost and difficulty of building the third new SSBN. The paper says Nevskiy’s crew trained at Obninsk, and also aboard Dolgorukiy. Like Dolgorukiy, Nevskiy will head for the Pacific Fleet, according to RG. OSK and the Defense Ministry remain in difficult negotiations over the Borey’s reported 23-billion-ruble price tag. Updating a related story, ITAR-TASS says new Yasen-class SSN Severodvinsk is now in its second underway period. Its first (September until early October) was deemed successful; 80 percent of tasks were completed and only minor problems identified. Worth recalling here that two Boreys, Bulava, and one Yasen were all on President Medvedev’s list of weapons systems to be procured in GOZ-2010. Konstantin Bogdanov sees reason for pessimism when looking at the course ahead for rebuilding Russia’s fleet. Writing in Friday’s Nezavisimoye voyennoye obozreniye, he says, despite an intention to spend 4.7 trillion rubles of the ten-year GPV on the Navy, there are technical challenges, clearly impractical schemes, and failures in what he calls the “organization-financial plan” ahead. Bogdanov provides us a handy review of the state of Russian shipbuilding. He points first to OSK’s insistence on seeing new aircraft carriers (with nuclear-powered destroyers in their battle groups) on the Russian Navy’s horizon. But Defense Minister Serdyukov has only a cold rebuff for the idea. Early R&D into what a new carrier might look like is as far as he’s being willing to go. It was made pretty clear that a carrier isn’t part of this GPV. Bogdanov says OSK may be looking for work for the New-Admiralty Wharves it sees on Kotlin Island in the future. The 30- to 60-billion-ruble shipyard could be ready in 2016. An aircraft carrier project would help launch this idea. Then Bogdanov turns to the Navy’s more immediate needs — frigates and corvettes. Proyekt 22350 frigates are needed by tens, if not 30, or even 40, of them. But Northern Wharf is having trouble building them. Lead unit Admiral of the Fleet of the Soviet Union Gorshkov was five years in construction, and its underway testing isn’t complete. Fleet Admiral Kasatonov was laid down just about two years ago. Its SAM system, Poliment-Redut with 9M96 missiles isn’t ready, and will have to be fitted right to finished frigates. But Bogdanov sees the frigates’ VLS — the Multipurpose Ship Fire System (UKSK or УКСК) as a positive step. It could fire antiship, antisubmarine, land-attack cruise missiles, torpedoes, and possibly SAMs. When proyekt 22350 didn’t come along quickly, Bogdanov says, the Navy went for its own proyekt 11356M frigates like those being built for India. But, he notes, Baltic Shipbuilding Plant “Yantar” in Kaliningrad isn’t having an easy time constructing them for its Indian and Russian customers. There are delays in the Indian units, but Admiral Grigorovich and Admiral Essen have been laid down for Russia, and Admiral Makarov should join them soon. The contract for a second batch of three was just signed. They’re supposed to be “localized,” but may actually be more like the Indian versions. They’re slightly cheaper than the proyekt 22350 at 10 billion vs. 16 billion rubles per ship. Northern Wharf has the order for nine proyekt 20380 Steregushchiy-class corvettes (with the proyekt 22350 frigates this comes to more than 220 billion rubles). Soobrazitelnyy (proyekt 20381) began sea trials this year, Boykiy was launched, Stoykiy is under construction, and Provornyy (proyekt 20385) was laid down. 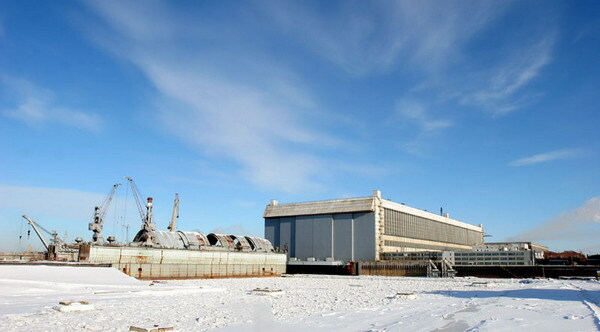 Sovershennyy (proyekt 20380) remains under construction at Komsomolsk-na-Amure. Bogdanov says the proyekt 20385 ships will have an eight-cell UKSK. Bogdanov notes, however, that Northern Wharf’s production won’t be steady until its ownership issue is finally resolved. If OSK takes over, this could have a good or bad effect on fulfilling defense orders, but the current financial questions around Northern Wharf are even worse. Turning to submarines, Bogdanov believes the situation is more transparent, but there are still questions. The SSBN picture is pretty clear. Proyekt 955 Borey-class SSBNs finally have a missile that looks like it works. Yuriy Dolgorukiy has fired it, and Aleksandr Nevskiy might this year. Vladimir Monomakh is under construction, and they’re preparing production materials for Saint Nikolay. The problem, he notes, is units 1 and 2 used sections and components of proyekt 971 and 949A submarines never built. Units 3 and 4 will be built from scratch, and it’s too early to say how this will be reflected in their cost. Bogdanov concludes another battle over inflated prices awaits, and there is, of course, still no 2011 contract with Sevmash. It’s less clear with the multipurpose proyekt 885, Yasen-class, of which the Navy wants ten by 2020. But these boats have been the focus of the Defense Ministry’s familiar complaint about unjustified price increases. Unit 1 Severodvinsk was built from materials and resources on hand, and its rising price was frozen at 47 billion rubles in 2005. The Defense Ministry says Sevmash wants 112 billion for unit 2 Kazan. Bogdanov thinks it’s hard to tell who’s justified here. There is structural industrial inflation, and a higher costs could be the result of the frozen handover price on Severodvinsk. Bogdanov mentions the thought given to cheaper attack boats like the Victor III or Akula, or proyekt 957 Kedr which never left the design phase. The Yasen is intended to replace Soviet-era SSNs and SSGNs, but Bogdanov thinks it’s too complex and expensive to be built in the numbers Russia may need. Twenty years ago the Russian Navy was planning for not less than 30 [sized of course against the U.S. fleet], and currently it has not more than 30 SSNs and SSGNs, and this is considered insufficient. Despite the uncertainty above, Bogdanov says one still hears talk about the need to develop a fifth generation submarine, but it’s unknown if there will be any development work on one. In honor of Navy Day — the 315th anniversary of the Russian Navy’s establishment — here are this week’s sound bites from Navy CINC, Admiral Vladimir Vysotskiy. RIA Novosti will publish a complete interview with him tomorrow. Vysotskiy says the Navy expects “not less than eight” proyekt 885 SSNs by 2020. Some sources maintain the number is six. Unit 1 Severodvinsk is preparing for sea trials in August, and unit 2 Kazan is expected by 2015. They’ll have to pick up the pace to get eight by 2020. Vysotskiy says work on a new destroyer will begin in 2012, and be completed in 2016. This is the one he suggested might be nuclear-powered. The CINC’s other comments covered the Black Sea Fleet. He claimed the BSF will get six proyekt 636 diesel-electric submarines in the coming years. Its sole submarine now, proyekt 877 Varshavyanka-class SS Alrosa is currently in the Baltic for repair. RIA Novosti recalled Vysotskiy’s past comments about obtaining 15 frigates and diesel submarines for the BSF by 2020 in a 60-30 proportion. He also said a frigate and submarine were specifically laid down for the BSF in 2010, and would be every year henceforth. He claimed the fleet would be renewed by 2020 through new construction rather than inter-fleet transfers. Moskovskiy komsomolets and Newsru.com reported on the BSF’s drastic ten-fold decline since 1997. This week TsAMTO cited a Baltic Fleet press release saying it expects to get the Neustrashimyy-class FF Yaroslav Mudryy, proyekt 20380 Steregushchiy-class FFLs Steregushchiy, Soobrazitelnyy, and Boykiy, proyekt 677 Lada-class SS Sankt-Peterburg, as well as assault ships and other craft. The BSF may be expecting to get some of these ships as well.